we are the browns: just a couple o' things. just a couple o' things. 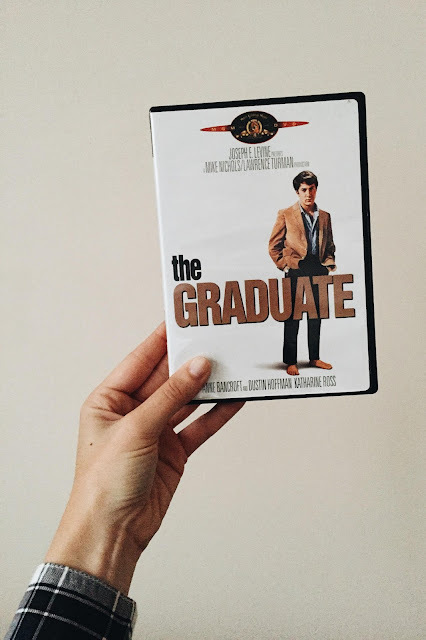 well, i won't name names buuuut somebody watched the graduate last night for the first time in his life. the soundtrack is in regular rotation around this treehouse, but somehow we never watched the film? how did this happen? anyway. we ate cheese and sipped wine and gawked at ben and elaine's wardrobes and he declared the whole thing even better than he anticipated. success! also, i just checked in to see how his day is going and he is positively giddy over a presentation some of his co-workers just gave. i love how he always, always roots for -- & celebrates -- others. i love him for being that guy. and for reminding me to be that girl.